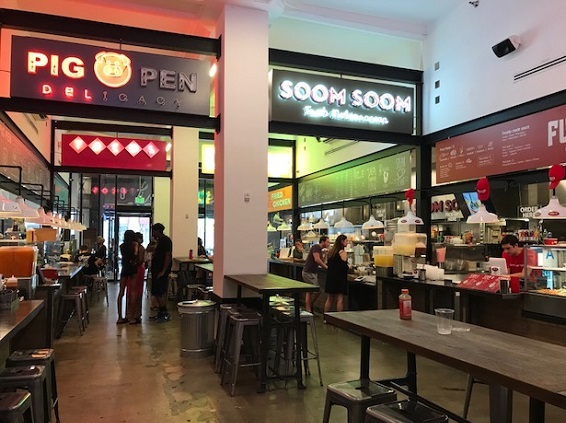 People with long memories may recall the downtown Pomona bookstore Cafe con Libros, which was in business from 1997 to 2002. But you don’t have to remember it to enjoy the fact that it’s returned under the original owners, within the same square block it occupied before. I write about its unlikely resurrection in Sunday’s column. In Pomona, a burglar broke into the Council Chambers — due to an unlocked door — and had the run of the place for a half-hour. He made off with some electronics after attempting, a bit late, to disguise himself. Security footage brought him to justice. I tell this tale of comical crime in Friday’s column. 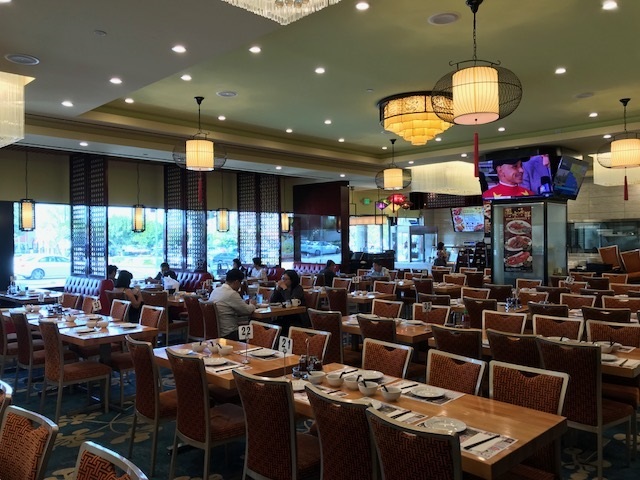 Luna Grill, 10877 Foothill Blvd. 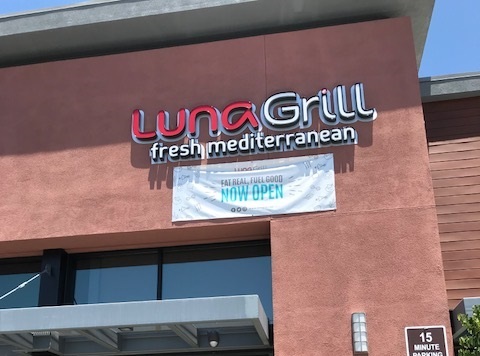 (at Spruce), Rancho Cucamonga; open daily, 11 a.m. to 9 p.m.
Luna is a San Diego-based Mediterranean restaurant chain with local-to-us locations in Eastvale, Redlands, Temecula and, said to be coming soon, Chino Hills. 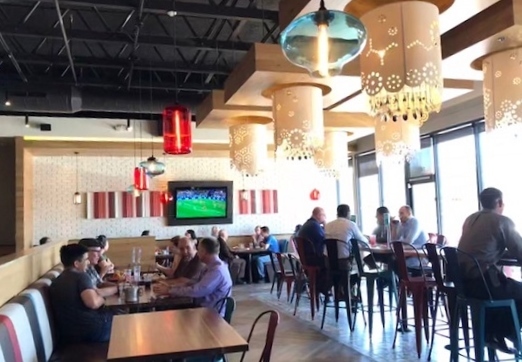 Don’t confuse Luna Grill with Luna Modern Mexican Kitchen a few miles east. 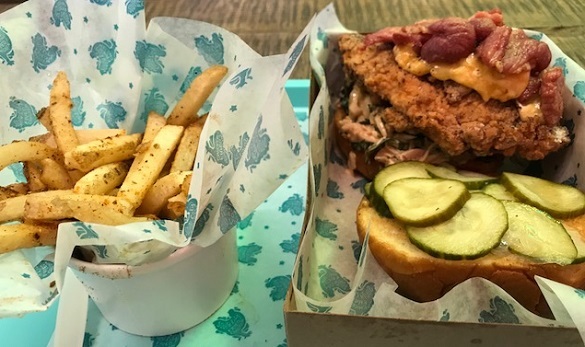 Besides the difference in cuisines, that Luna is a sit-down restaurant; this Luna is fast-casual. The menu has salads, plates, wraps and bowls. 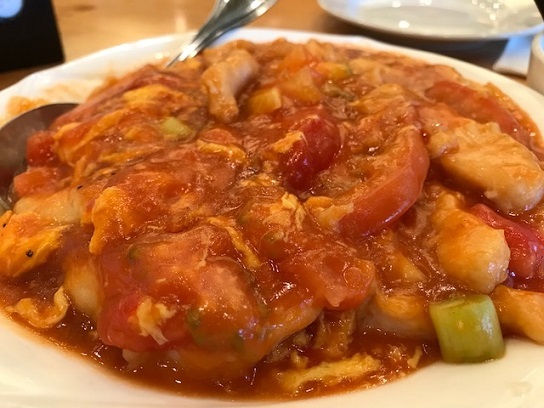 No stranger to Mediterranean food, I thought several of the items sounded or looked inviting. 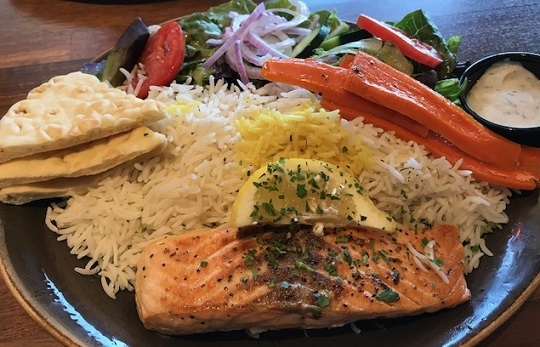 I went for the salmon plate ($14), which came with rice, pita bread and a small salad, and got carrots as my side. My friend ordered the lamb plate ($15), ditto. 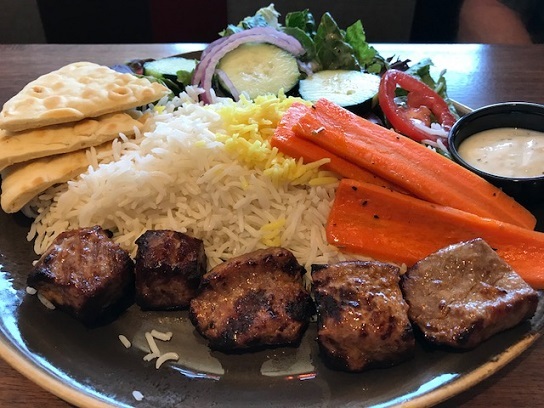 Of the lamb, which is halal (the Muslim equivalent of kosher), my friend noted from the menu board that it’s the second-most caloric entree — after the veggie plate. Hmm. 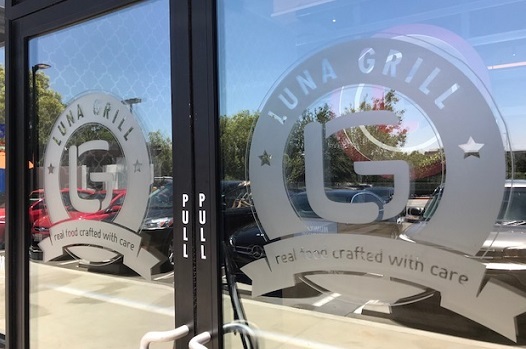 In other words, returning to Luna Grill would not be lunacy. Column: Will iron lung breathe new life into medical museum? 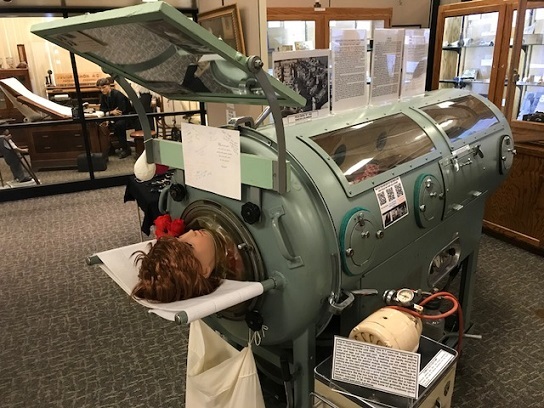 I took a tour of the low-profile Southern California Medical Museum, which recently acquired an iron lung. The rest of its exhibits of antique medical devices tend to be smaller, but they are also thought-provoking, comical or nauseating. 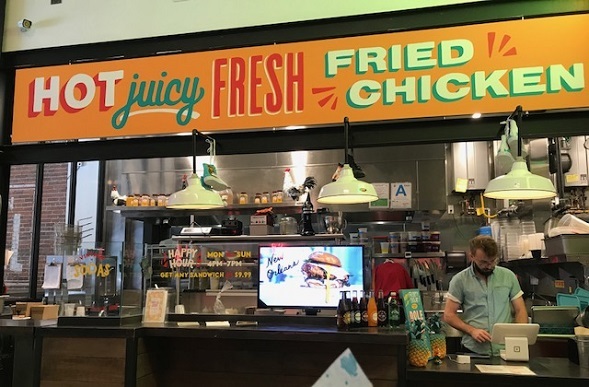 The downtown Pomona institution is the subject of my Wednesday column. 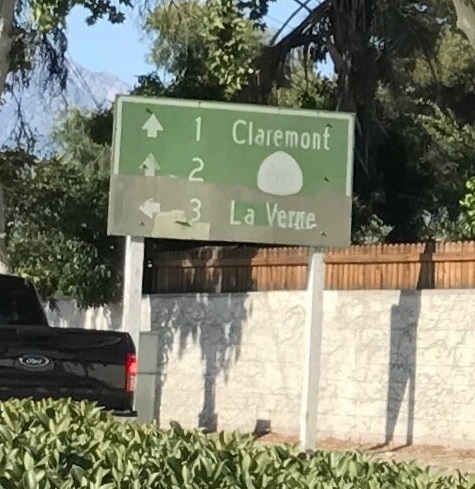 This sign stood for decades, probably, on North Towne Avenue just above the 10 Freeway, pointing the way north to Claremont and Route 66, and west to La Verne. I liked seeing it and always meant to pull over at the next corner to walk back for a photo, but never did. “Next time,” I would think, even though my fear was that the sign might not be there the next time I drove past. But it always was. Sometime in 2017, though, the sign was heavily damaged by graffiti. And when I drove by this spring, it was gone. 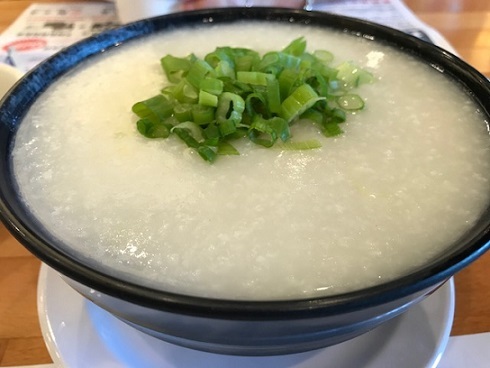 Reader Jason, thankfully, had taken a photo and sent it to me by Twitter in June 2017. (It’s the photo above. You can see even at that point that the 66 emblem was painted over or faded and that the bottom strip had been patched.) He asked recently what had happened to the sign. The city of Pomona took it down, Deputy City Manager Mark Gluba told me. It’s almost certainly a Caltrans sign, Gluba said, as the directions serve a regional rather than a city purpose, but the sign was old enough that Caltrans had no record of it and denied ownership. “We decided to remove the sign due to the graffiti and the general condition of the sign,” Gluba said. 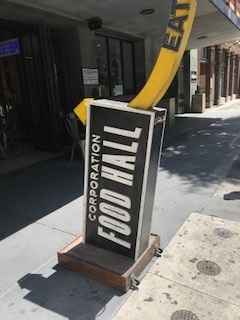 It wasn’t clear whether the sign is in the City Yard or tossed, but it was so badly defaced that to me it didn’t look salvageable. Is there another sign denoting the way to Route 66 in the Inland Valley? If so, I’m unaware of it, but would like to know about it. I do like the occasional signs on Holt, Foothill or Mission telling the distance to San Bernardino, Riverside or Pomona, which still serve a purpose but also seem like a throwback to the pre-freeway days. 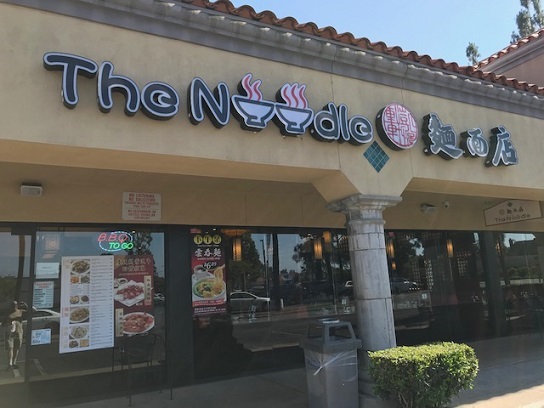 More news from Pomona: the business improvement district gets renewed for another 10 years, highlights from the council meeting, a culture corner and more, all in Friday’s column.